Email Marketing strikes many as old-fashioned. 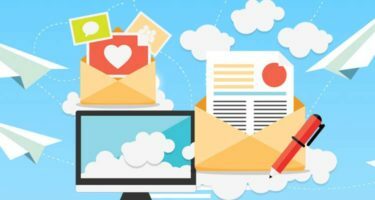 More fashionable venues like social media and mobile marketing get all the attention, and some people will even try to tell you that email marketing is dead. Unfortunately, reality doesn’t agree. In fact, with a strong content marketing approach, email is more powerful than ever thanks to social media. Why? Because it moves the conversation about your business or information product to a more personal environment — the in-box. 2. Subject line. Testing subject lines can be really fun, but make sure you don’t get carried away and use words that trigger spam filters. This is a great place to brainstorm a lot, as it’s easy to split your list and test a few subject lines at once while keeping everything else the same. 3. Format. If you always send one long column of text, try breaking it up using subheads and bullets. This is also a great place to try sending HTML emails if you’re still using only plain text. If you do use HTML, or start testing it, you can insert graphics, charts and images to spice things up. 4. Video. When I was the email marketing manager for a financial publishing company, we started using videos in our email newsletter once a week and they were a huge hit. People really looked forward to getting content in a different format. The videos allowed us to show off our editors’ personalities and paved the way to start testing videos in marketing. 5. Ad placement. If you always put your ads in the same place, people will come to expect them there and may eventually start reading over them. Try putting one at the very top of your email newsletter or at the very bottom, perhaps as a P.S. This is also a great time to test images in your advertising or making the whole advertisement an image. 6. Call-to-action. It’s so easy to get stuck using the same tired call-to-action phrases, but customers will start to glaze over if you don’t keep things interesting. So do some brainstorming and get creative! 7. Offer. Try testing two (or even three) different offers with various prices, bonuses or designs. This works especially well when you’re launching a new product and trying to determine what price point is best for your customers and your business. 8. Landing page. The landing page is an easy place to test out different headlines, different designs, even different phrases on the buttons that allow customers to click through to the order form. Landing page testing can generate some really surprising and helpful results that you can apply to many of your campaigns. 9. Days and times. When you set up your email newsletter, you likely chose a day and time to send it and never looked back. But that might not be the best time for your readers, so you should test various days and times to see when you get the highest open rates, click-through rates and conversion rates. In my experience, the weekend tends to be a popular time for people to catch up on emails and actually order the products or services they’ve put aside all week. 10. Frequency. Going along with the above, maybe you’re sending emails too often or not often enough, leading to readers abandoning your email newsletter. If you notice a lot of readers unsubscribing, especially after sending a lot of emails (particularly marketing emails), pull back a bit. If you notice readers not connecting with your emails enough, try sending an extra one to see whether that helps them engage.